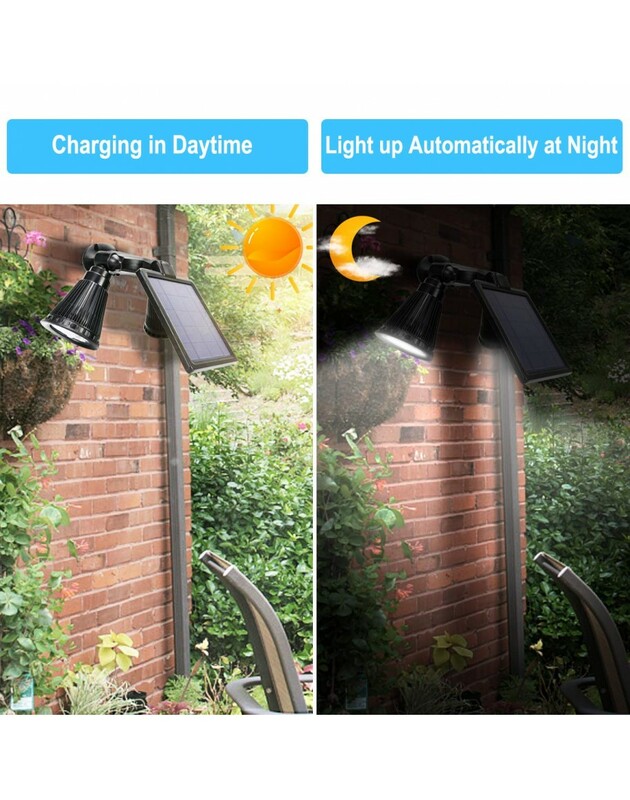 Solar Lights Outdoor - 【Lastest Upgraded Solar Spotlight Outdoor】6”x6” larger solar panel & bigger capacity offer longer working time. 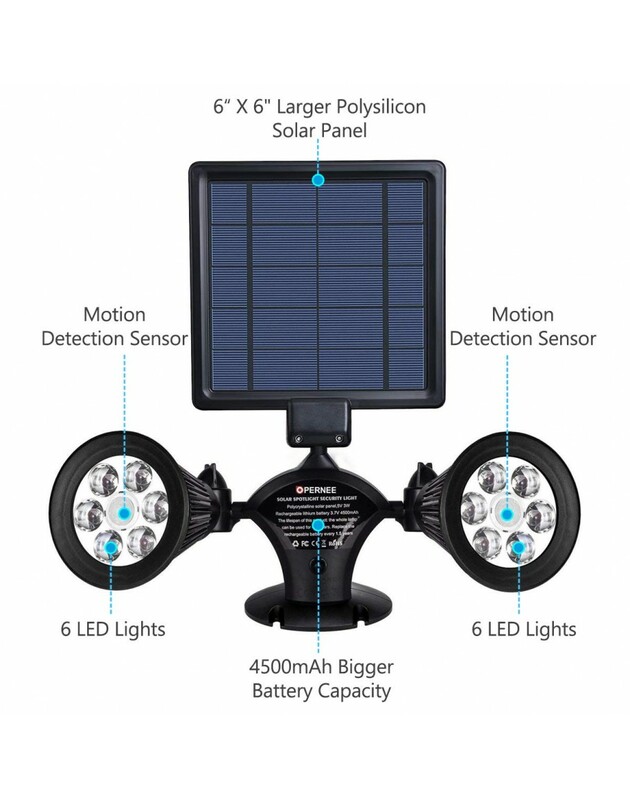 【Lastest Upgraded Solar Spotlight Outdoor】6”x6” larger solar panel & bigger capacity offer longer working time. Using the best polysilicon solar panel(5V/3W), 4.5h fully charged for 4500mAh battery lighting up to 9-11h, quickly and absolutely absorb solar energy. 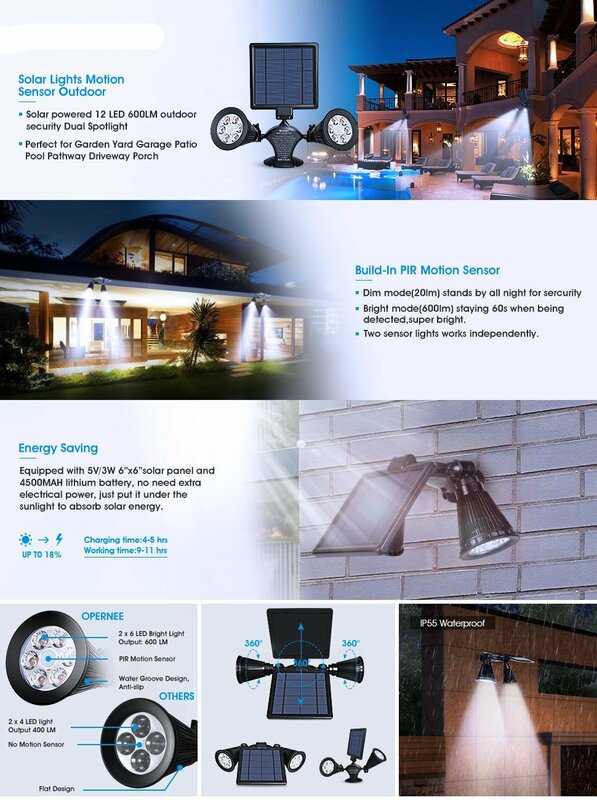 Get all night security lighting without any expense. 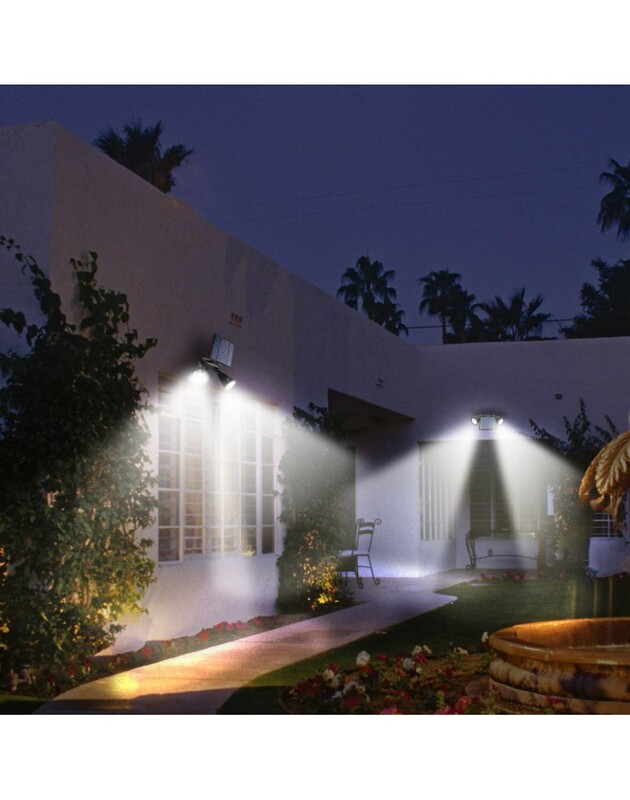 【Double 360 degrees Swiveled Solar Security Spotlights】Double lamps on the two sides of the spotlights with 6 LED*50 Lumen in each one. 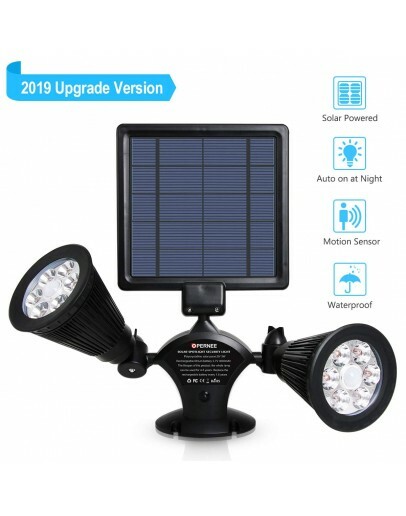 No darkness dead corner with 90°solar panel and twin 360°rotatable spotlights. It can be independently flexibly rotated, set lighting to any angle you want. 【Sensitive PIR Motion Sensor】Build-in PIR Motion Detection Sensor, it can detect up to 26ft away, range 120 degrees, bright mode(600LM) turn on for the 60s after the motion detected, then turn to OFF mode. 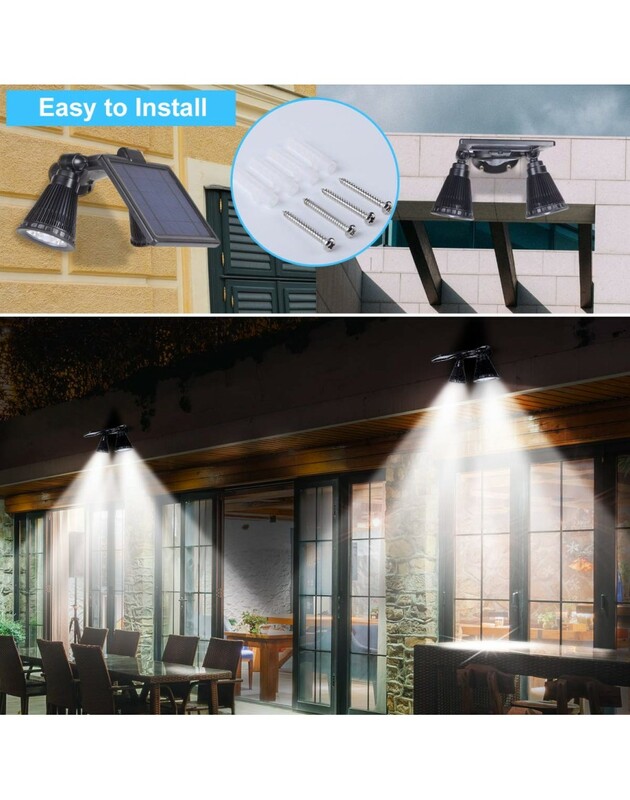 【Easy and Flexible to Installation and Light your house up】Press the switch and install the garden wireless spotlight on the wall by anchors and screws. 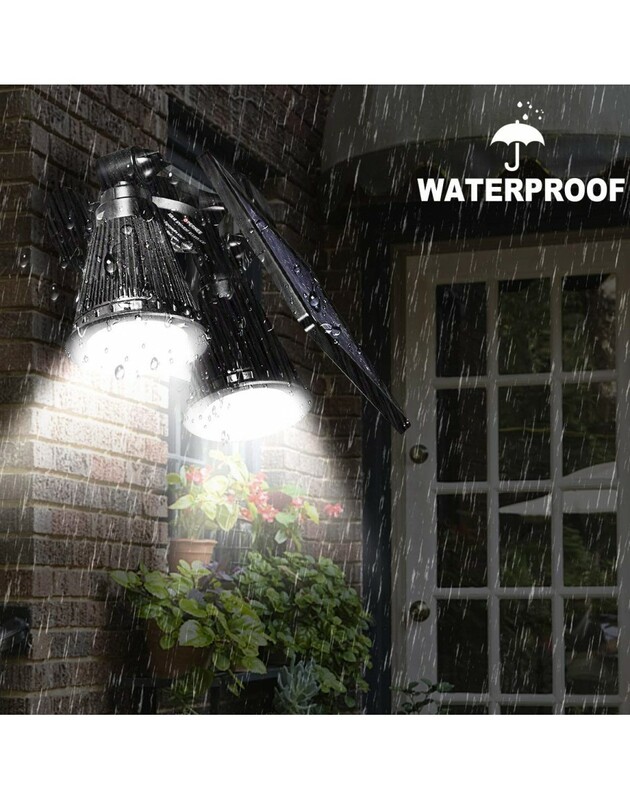 It is waterproof and weather resistant for all kinds of severe weather. Perfect for garden yard lawn patio landscape security, not least for garage porch driveway pathway decking or any spot alike. 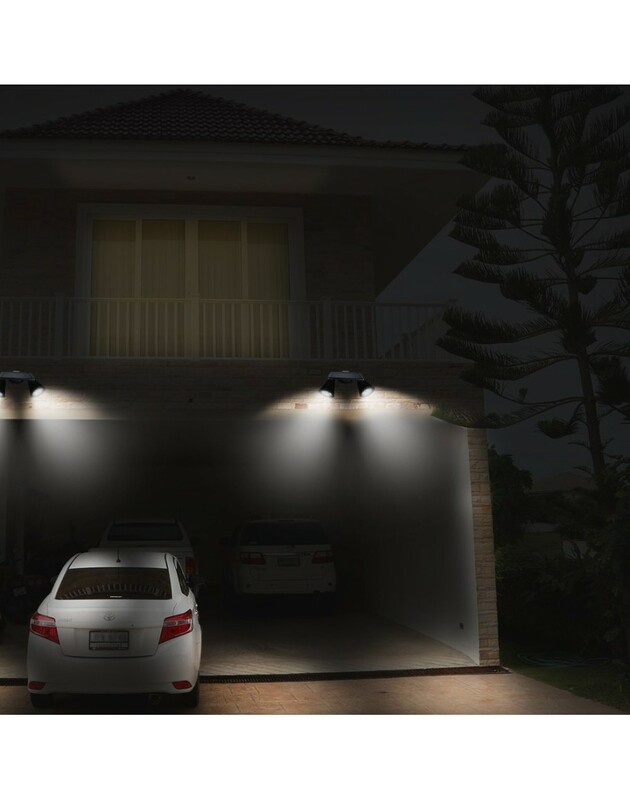 【Dusk to Dawn Solar Wall Lights】For the sake of energy saving, this spotlights has a built-in photocell sensor, it will turn off during the daytime and it will be activated to be detectable at nights automatically. We provide 100% Money back or replacement warranty if there is any quality issue or any reason that caused you to dissatisfy with this item. Please identify the OPERNEE solar light of Opernee Direct, beware of fake and being cheated! 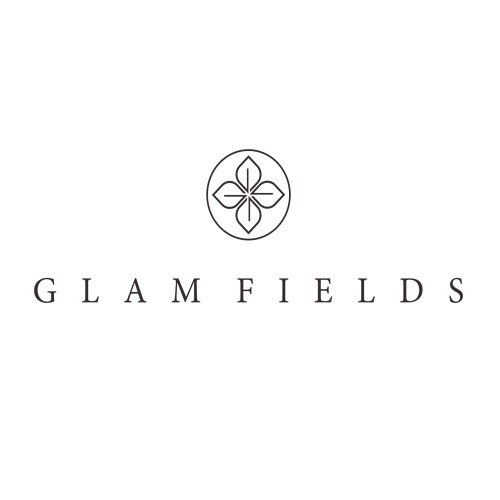 Beware of fakes! 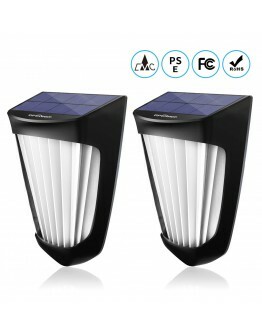 Please identify the OPERNEE solar light only sold by OPERNEE Direct! 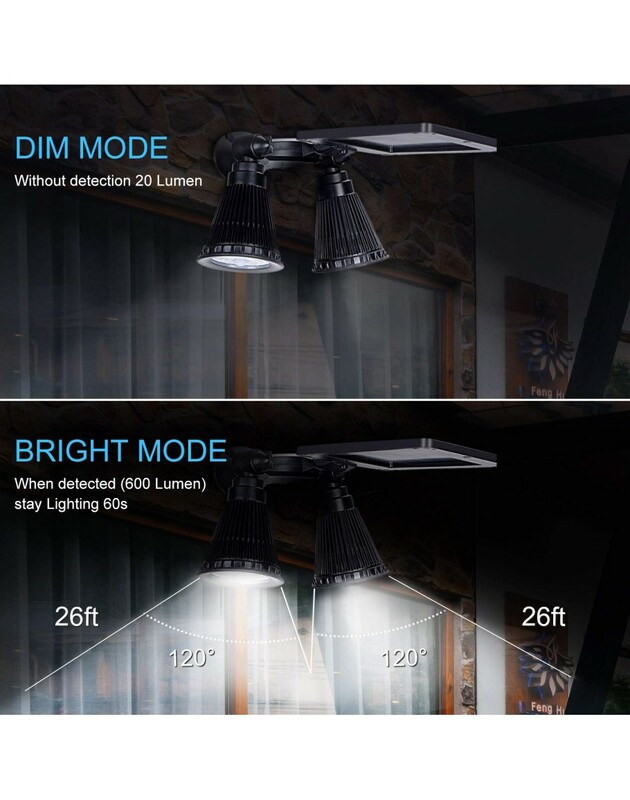 Built-in PIR motion sensor, stay on bright mode 60s when the motion detected, then turn to DIM mode; 6 LED lights x 50 Lumen in each one, brighter than other similar products 4LED in the market. stay on bright light mode all the time. Please Note: As winter approached the sunshine becomes weaker than summer, please make sure the item is put in direct sunlight all day so that it can absorb more sunlight for charging. Convert solar energy into electric energy to light your outdoor place every night without any energy, no pollution & wasting,no any burden for life enviroment. 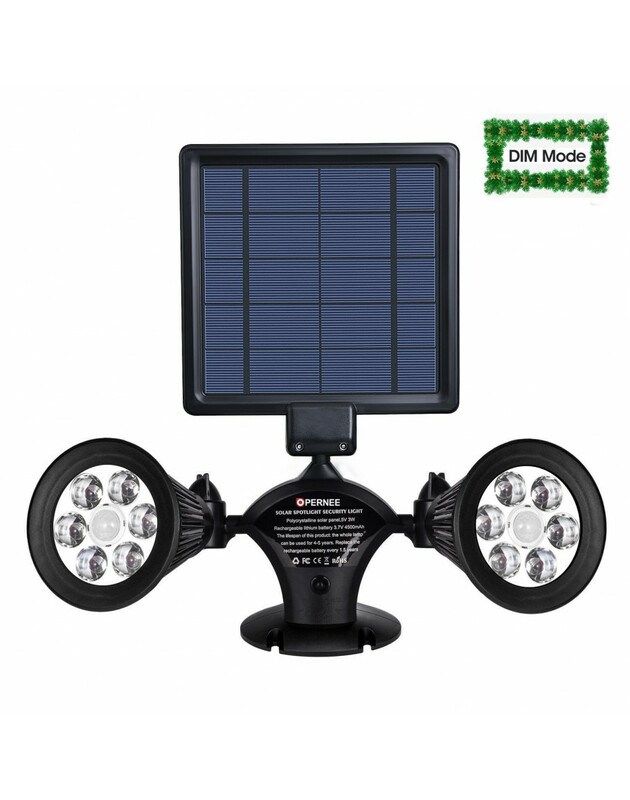 Drives away the darkness with double lamps solar light. Make your road being bright when you come out or back at night. 1, Charge the solar panel by placing it under direct sunshine for at least 8 hours. 2, Press once the ON/OFF button, the light will be turned on once it got dark. 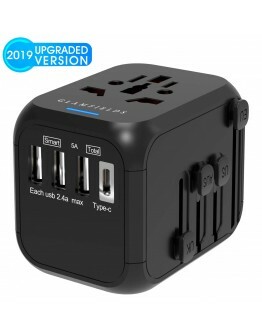 3, Illumination time will last to 8-12 hours after full charge. 4, The two lamps can be rotated 360°(loosen the knob and rotate gently. Solar Panel: polycrystalline silicon 5V, 3W. Light Source: 12pcs Super Bright White LED. Function: Auto light at night and auto charge in the daytime. 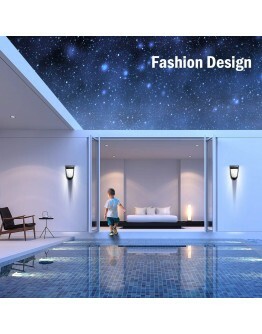 【BEST DECORATIVE LIGHT 】 Fashion and modern design, It is great for adding ambiance to the pillar, c..